It is thanks to the Foundation that every year, the institutions acquire items directly related to the residents’ well-being. In the past years, the donations were aimed at the purchase of various equipment, such as: electric beds, hydraulic levers, adapted showers, and wheelchairs. In recent years, the Foundation has revised its donation policy so that it is geared towards the development of the living environment of residents. The focus has therefore been on the purchase of furniture and the decoration and layout of the common areas. 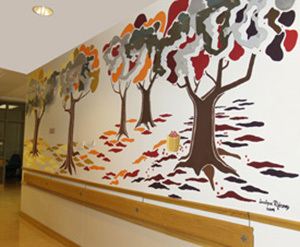 In addition, the Foundation supports recreational activities for residents of both centres, such as pet therapy sessions, visits by therapeutic clowns, percussion workshops, summer evenings on the terrace, music therapy and, for the palliative care clientele, we offer bedside concerts and pet therapy sessions. The Foundation also gives personalized Christmas gifts to each resident and celebrates the birthdays of the month with musicals. 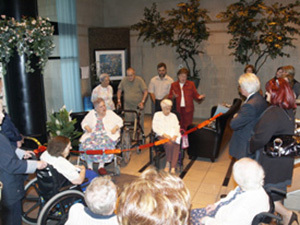 For several years now, the Champlain and Manoir-de-Verdun Foundation has demonstrated its enthusiasm and commitment in the pursuit of its philanthropic work and is actively contributing to enhancing the living environment of its residents in order to make it a more humane and friendly environment. It is thanks to the numerous donations of the Foundation that several achievements have been made possible. The quality of life of residents has been substantially improved. The Champlain and Manoir-de-Verdun Foundation have contributed a sum of $53,000, which was distributed between the CH Champlain residents’ holiday camps and the purchase of Christmas gifts for the residents of the Champlain and Manoir-de-Verdun Residential Centres. The contributions collected helped to support volunteer activities and thematic activities of the recreation departments at our two centres. In addition, equipment purchases were made to improve services provided to residents and their living environment. 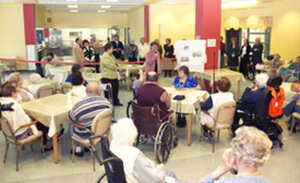 The residential centres’ approach is changing and requires transforming the institutional setting into a pleasant living environment for the residents, as the Foundation adheres to this philosophy and hence the purchase of equipment will make way for purchases to make their residence more welcoming. As the needs of the two centres differ, the contributions are distributed equitably amongst them, in accordance with the specific needs of each of the centres. To date, the Foundation has contributed a sum of $1,300,000 to the two residential centres and thrives to continue its success.